The Paradoscars (the awards formally known as the Paradox 'Oscars') have been a thing for over a decade now, initially in an 'offline' guise before transferring to the world wide web. It's no secret now that we enjoy voting in a best 'things' of the year list, and we enjoy it even more since we invited our readership to join in! While the PCG may have come up with the nominations in each category, the winners were chosen by you. As usual it was a tight race in some categories, but in others (Best Publisher? Again?) the winner left their fellow nominees in the dust. The winners have now been announced at a local Bournemouth restaurant with a tipsy PCG. While all the nominees deserved the limelight, we feel the winners have come out on top because they deserved to be there – in other words, they’re the best of the best. Thanks to everyone all of you who voted, especially considering many of our nominees weren’t more mainstream, predictable choices, and we do hope you all come back for more passionate opinions on our beloved medium next year. 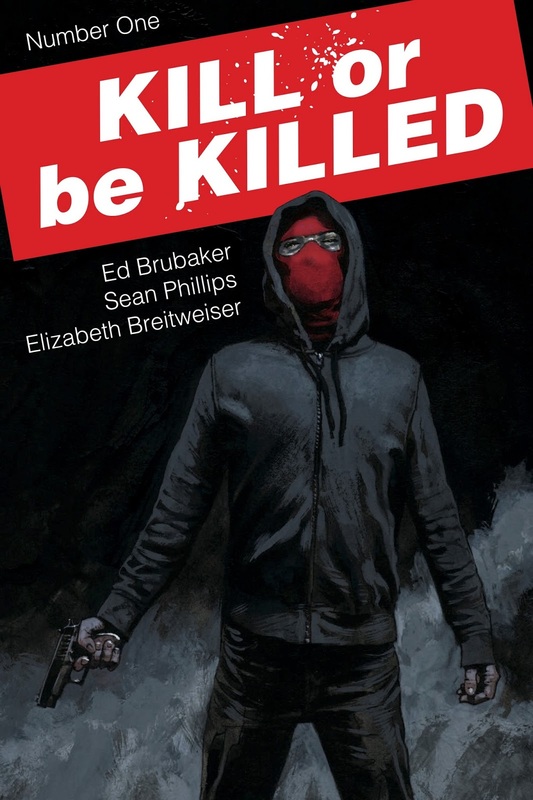 Matt C: After scooping last year's Best New Series award, something would have had to go dramatically wrong for this book not be in contention for the Ongoing slot this year, and unsurprisingly the supremely talented trio of Ed Brubaker, Sean Phillips and Elizabeth Breitweiser delivered what may well be their best collaboration yet. That we seem to say that every time they unleash a new series probably goes some way to indicating the special creative synergy that exists between these three (and I know Breitweiser wasn't there at the beginning but she's absolutely integral now as far as I'm concerned). This tale of a vigilante who may or may not be engaging in a homicidal rampage at the behest of demon only he can see is both riveting and daring; it plays with the unreliable narrator trope to the point where we're still guessing whether or not our view of the unfolding events is being bent all out shape by a warped perspective. What could have been a one-note thriller in lesser hands keeps expanding outwards to draw in new, ingenious plot threads, and Dylan Cross is proving to be the most fascinating of antiheroes, allowing us to be complicit in his heinous deeds, alluring and repelling almost simultaneously. Calling Kill Or Be Killed a modern crime masterpiece may very well be selling it short. Jo S: The Old Guard #1 was one of the first books I talked about at a PCG meet, and I raved. This series taught me a bunch of lessons about comic books and what to expect from them. On the graphical equaliser of comic scoring, every element is turned up to 11 for me. Art, story, characters, all brought together with such quality that the impact was at times almost physical. 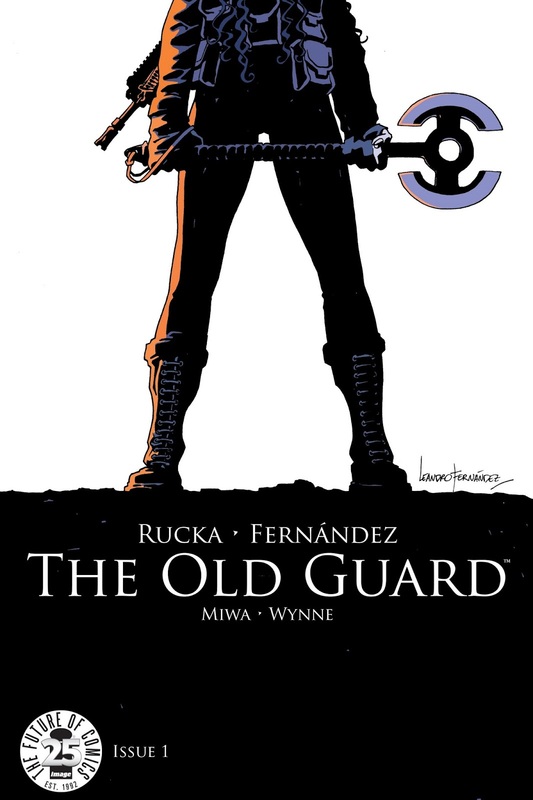 I was immediately drawn to the leader of the band of mercenary near-immortals, the uncompromising Andy, so ancient and wise and controlled; Greg Rucka writes strong women phenomenally. The tenderness of Joe and Nicky’s relationship is beautiful, wistful and so credible; the snap and crackle of Andy and Nile’s bickering is smart and wryly funny, Booker’s final departure, heartbreaking. My first ravings to the PCG team were especially based on the artwork and colours which broke me out of my understanding of what comics could be: a double page spread, showing a mass gun battle, drawn as if from inside, just blew me away. Leandro Fernández uses the sound effects of the battle as a dense bed on which the panels float, as if to emphasise the overwhelming assault on the hearing; several of the panels themselves are more than half white with muzzle flash and Daniela Miwa’s rich bold colours bring drama which I found completely absorbing. There wasn’t a wrong step in this entire series, and I’m delighted that I came to comic books just in time to read The Old Guard from new. James R: I didn't hold back on praise of Jeff Lemire's new creator-owned series when I was lucky enough to be given an advanced look at issue #1 and I'm delighted that so many people share my love for this book! Royal City is a comic that works on so many levels: the interplay and character study of the Pike family, the mystery surrounding the strange powers and death of youngest sibling Thomas, the wonderful sense of time and place captured, the Spotify playlists - every issue of this series has been an absolute treat thus far. 2017 has arguably been Lemire's year, with a phenomenal strike rate as writer and artist. Royal City is the pinnacle of his myriad achievements though, and feels like a monthly reminder of why the Canadian auteur stands head and shoulders above many of his contemporaries. It's a story of mystery, heart, and almost tangible loss; it's unique. James R: We had a feeling this would be good. As early supporters of the Tom King-Mitch Gerads team on their brilliant Sheriff Of Babylon series, it's safe to say that I would have picked up a book from them if it was based on an office stationery catalogue. As it was, their choice of character was an intriguing one. Mister Miracle has hardly been front and centre of DC's roster in recent years, but there is something undoubtedly fascinating about the Jack Kirby creation (famously based on the also-great Jim Steranko). 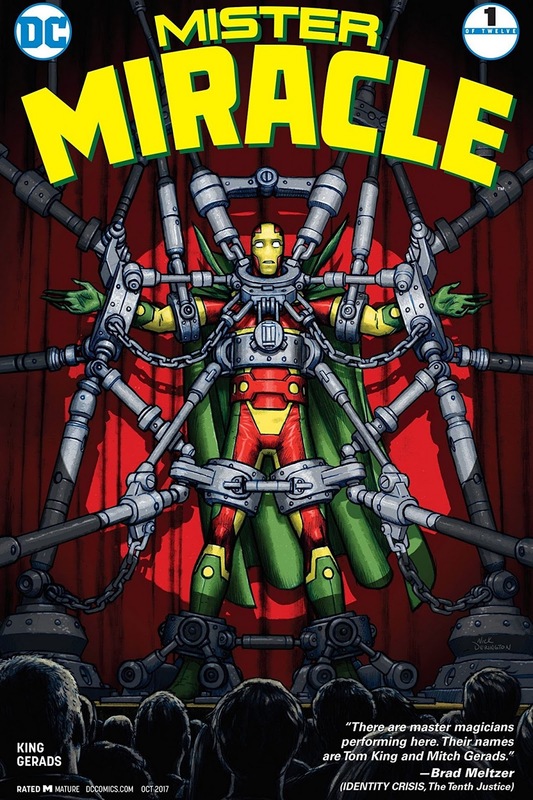 Mister Miracle #1 set the tone for the series perfectly with King portraying Scott Free as a hero virtually washed-up, and clearly troubled, forced back into the draconian world of the New Gods. Gerads all but reinvents the nine-panel layout too, giving us a world that's equal parts claustrophobic and hallucinatory. This issue was one of those wonderful times where a series hits the ground running, and lets you know that it's going to be something special. A more than worthy winner. Jo S: Artist ACO is something of an enigma - he’s worked on DC’s Midnighter series and a few other titles I recognise, but it’s near impossible to find details about him. Following the astonishing run of Nick Fury Jr one-shots, surely this has to change, and soon! Any one of ACO’s six main covers for this series could comfortably have sauntered off whistling with this award tucked under one arm, barely wrinkling its perfect sharp suit, and yet the covers are almost a witty little in-joke with the reader: the art within the books is so technicolor and psychedelic (ACO researched Jim Steranko’s work to depth for inspiration), it’s almost as if ACO and writer James Robinson got together and said “Y’know how the art in these books is gonna be crazy colourful? With wild page structure? Wouldn’t it be *heh heh* awesome *hee hee* if, like, we made the covers totally deceptively simple?” And they are. Each cover is a single colour on a white background. Bold, clean, striking in a way that looks effortless, and utterly cooooooool. 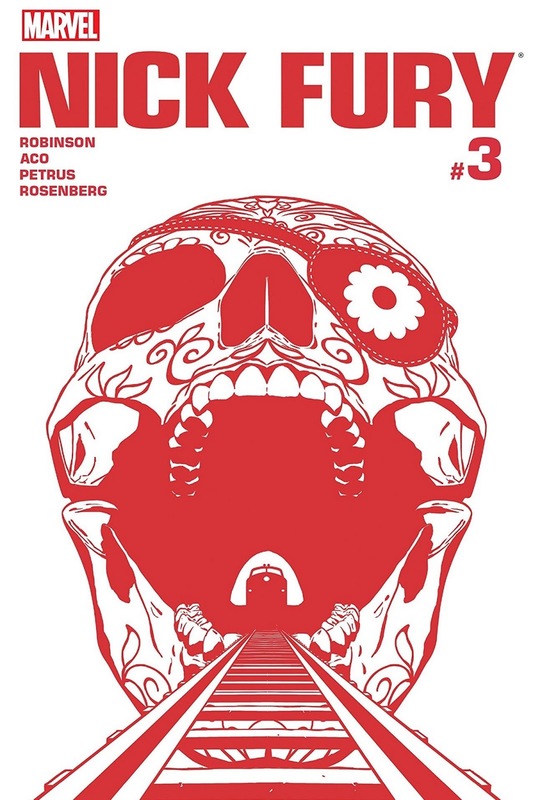 Issue #3, simple bright red on white, features a Mexican calaca (a decorated skull, used in the Day of the Dead celebrations) with a patch over one eye (of course), its bony maw laughingly agape to allow a train track replete with a huge American locomotive to appear through it. It’s smart, it’s stylish, it’s cool, and it has the theme of the entire story encapsulated. Stunning. Tom P: A real treat from Dark Horse this year. Artist Gary Gianni joins forces with Mike Mignola to bring us an original graphic novel that follows on from Hellboy: The Island, published back in 2002. We find Hellboy captured by an 18th century sea captain who plans to sell him to a circus, of all things. While imprisoned, he comes to the attention of a mysterious woman seeking a serpent that’s haunted the sea since the dawn of time! 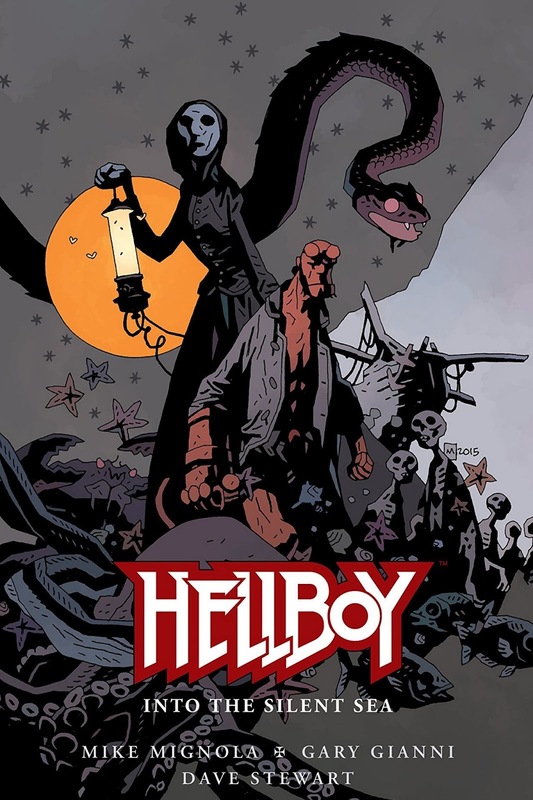 Gianni really sets the scene, wonderfully illustrating another fantastic tale from Mignola with his brilliant mix of folklaw and pulp punch-ups. It just goes to show that even though Big Red might have finished his main journey, there are still plenty of untold adventures left to tell. 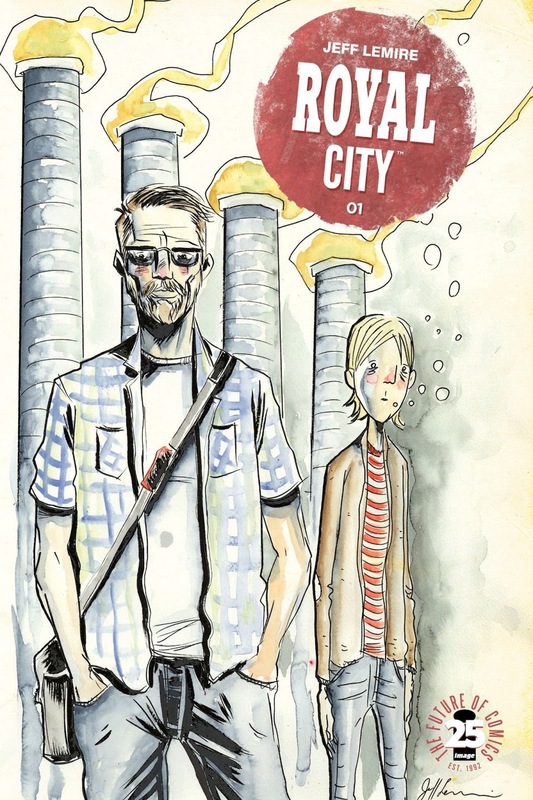 Matt C: It's no secret that the PCG have had an ongoing love affair with Jeff Lemire ever since Sweet Tooth debuted in 2009, but in 2017 he took our admiration of his output and turned up the dial to 11. 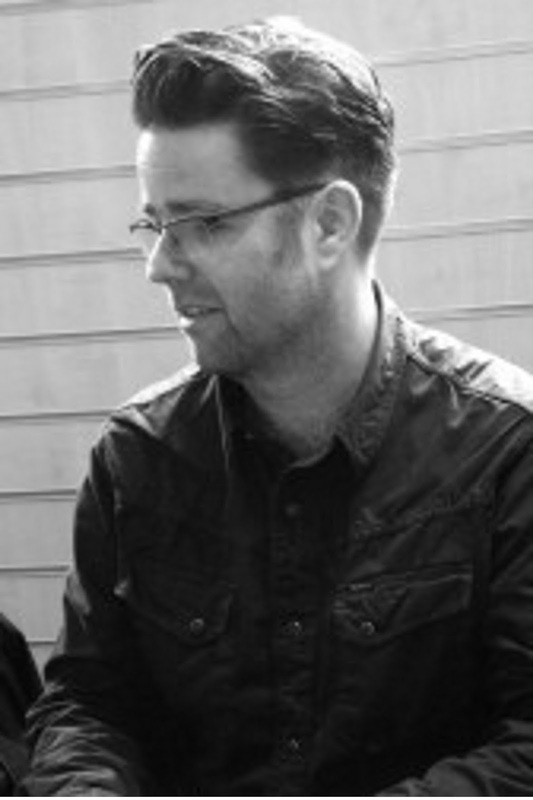 He completed his current tenure at Marvel but left on a high with some glorious work on Thanos, Old Man Logan and Moon Knight, displaying a deft grip and understanding of some evergreen characters, finding new angles to shift focus onto what was both familiar and reassuring and what was challenging and fresh. And if that wasn't enough, his creator-owned work continued to astound. His ongoing sci-fi epic Descender exuded warmth and humanity, even when dealing with beings who were built rather than born, while the fledgling Black Hammer continued to bring depth and emotion to familiar analogues in unexpected ways. And then there's Royal City, another passion project, one that views family drama through the lens of loss and guilt by stepping gently into the realms of fantasy. There's more to come next year; more appealing creator-owned projects and some promising new books for DC, but there's no doubting 2017 has been an extraordinary year for an extraordinarily talented storyteller. Tom P: We have a few unwritten rules at the PCG and one of them just happens to be, 'If Sean Phillips is involved in a comic, you buy it'. He is unquestionably one of the best in the business and it should surprise no one to see him walk away with the Best Artist award this year. 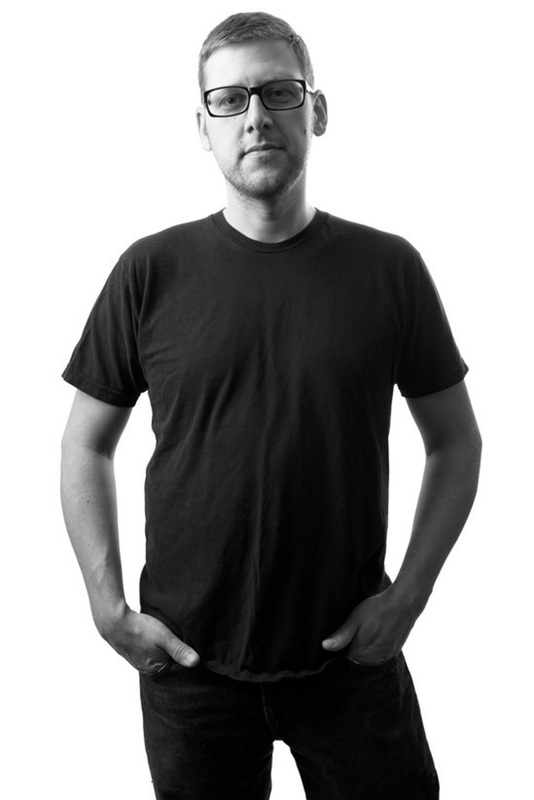 His recent works have included exceptional titles like Criminal, The Fade Out and the current ongoing series, Kill Or Be Killed, all of which have been written by longtime collaborator Ed Brubaker. Their prolific partnership has provided Phillips with numerous opportunities to really showcase his outstanding artistry, producing images that are concise, exciting, dynamic, moody, emotive and always captivating to behold. 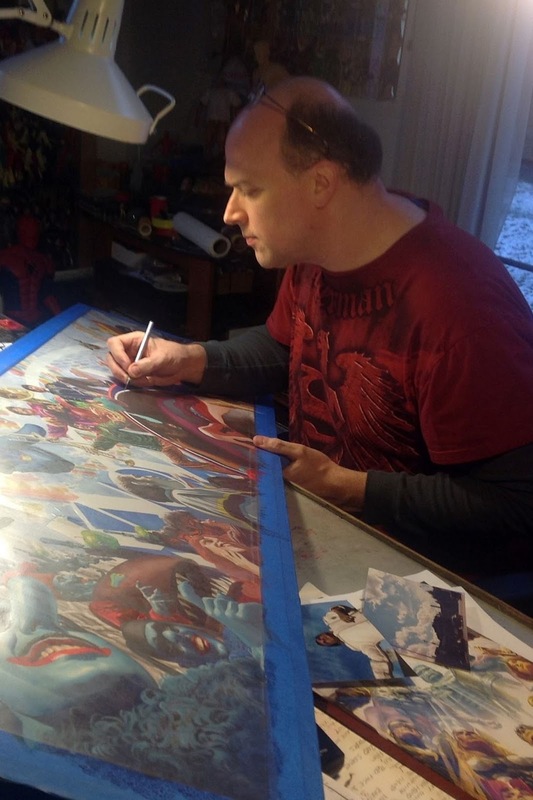 Kenny J: On the run up to the release of Justice League it was hard to miss seeing the Alex Ross inspired movie poster but in 2017 it was over at Marvel that he's been applying his iconic skills to some of the year's most striking covers. The Avengers covers have conferred on some of Marvel’s younger heroes a status as legendary as their older counterparts. Amazing Spider-Man as drawn by Alex Ross is always a delight (remember those Marvels covers?). Then there are the four variant covers for the Generations one-shots: a panorama of Marvel’s great and good, all rendered in that unmistakable Ross style. Adding to that the striking and sometimes comedic covers of Astro City for Vertigo and it really is about time Ross won the Paradoscar. There arguably no other cover artist with such an idiosyncratic style who can seemingly create iconic covers at almost every turn. Kenny J: What a varied number of titles Jordie Bellaire has colored in 2017! From the otherworldly moors of Cornwall in Injection to the far reaches of a galaxy far, far away in a slew of Star Wars books, and pretty much every other genre in between. Jordie brings an indie appeal to any art she touches whether it’s the bold shapes of Romita Jr in All-Star Batman or the heavy lines of Goran Parlov’s Punisher. All of this is even more impressive as the number of titles that have benefited from her colours is staggering, never losing the level of quality and always complimenting the tone of the each book. James R: Two words: Moon Knight. I was never a fan of Marvel's disco-era Batman, but when Jeff Lemire announced he was going to delve into the world of Marc Spector, I knew I had to take a look. I was won over from the debut instalment, initially by Lemire's clever script, but I absolutely loved the art from Greg Smallwood. From the first issue to the last, he excelled in every panel. Smallwood really started to register on our radar with his work on Dream Thief in 2013, but his stints on Moon Knight have catapulted him into the mainstream. From the startling covers, via the nightmarish sanatorium walls, and through the canyons of Manhattan, the art pages of Moon Knight simply took my breath away. And, despite it being a series that played with the idea of reality, Smallwood's art always feels incredibly grounded; there's a terrific sense of verisimilitude to his pages. He's established himself as a talent that will make whatever project he's working on worth a read - he's definitely one to watch for 2018. Andy H: Once again Image have a firm grip on the top spot as Best Publisher. It really shouldn't come as any surprise as they continue to fill the shelves with some classy reading. It helps that other publishers seem to squander talent and then rely on gimmicks which inevitably fall flat, but Image are more than deserving of the accolade on their own merits. 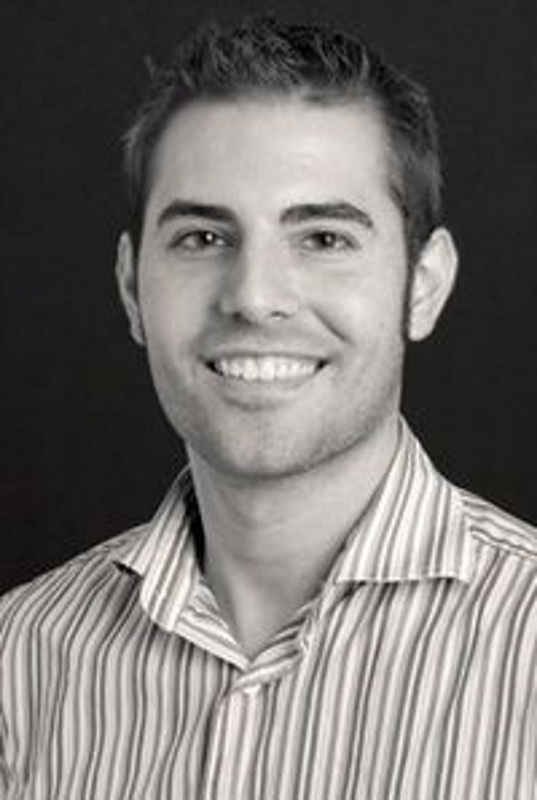 They embrace new ideas and new talent, while maintaining a core of quality ongoing titles. 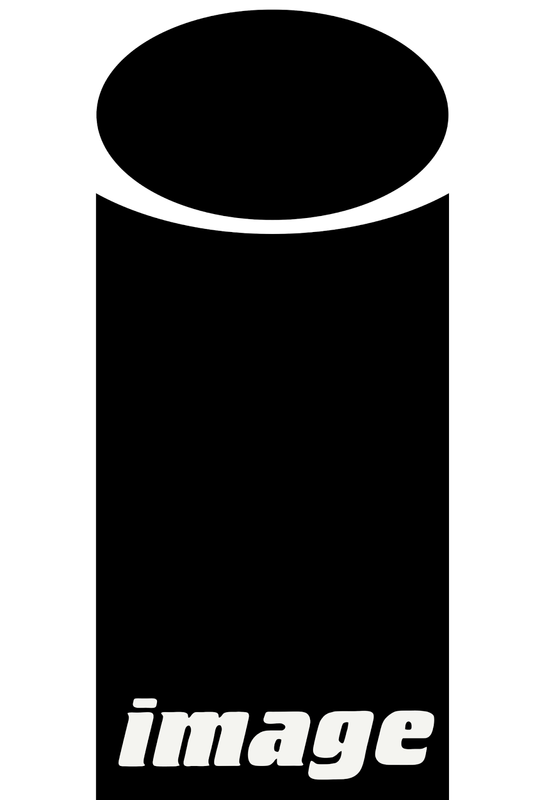 The Walking Dead, Spawn, Invincible and Saga all continue to keep their readership engrossed and then there is the new blood: Redneck, Royal City, Black Monday Murders and Seven To Eternity, to name a few, that continue to innovate and capture our imagination. While some may consider the miniseries to be a 'kiss of death', Image have had some cracking offerings this year. I'm so glad I got to read Shirtless Bear-Fighter (my fav), Plastic and Hadrian's Wall. Obviously, from a retailer's perspective, ordering all these new titles can be a bit daunting, and not all will stick, but enough will find their way onto the shelves and pull-lists to make it all worth while. Congratulations Image; worthy winners of Best Publisher. Kenny J: I prefer Jane Foster as Thor. Maybe it’s the blistering arrogance of her male counterpart but Foster as the God of Thunder seems far for heroic and far more relatable. Maybe it’s that she is very human - racked by self doubt, witty and, rather than celebrating a victory with a flagon of mead, forced to undergo chemotherapy in her battle with cancer. A woman who was a nurse tasked with looking after Donald Blake, Thor’s original secret identity; now ironically it’s his hammer that is saving her. 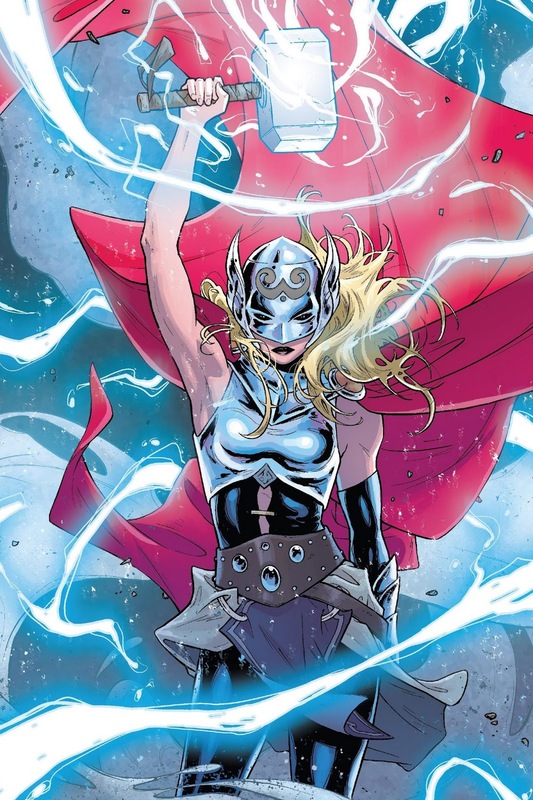 If you need anymore proof that she is a better Thor than the Odinson this year, she went toe to toe with and fought alongside him, proving that she is most definitely his equal. She's that and a whole lot more. Jo S: The title of Best Supporting Character has always struck an odd note for me - as if ‘supporting’ was more of a shorthand for ‘not-the-lead’, or ‘second best’. 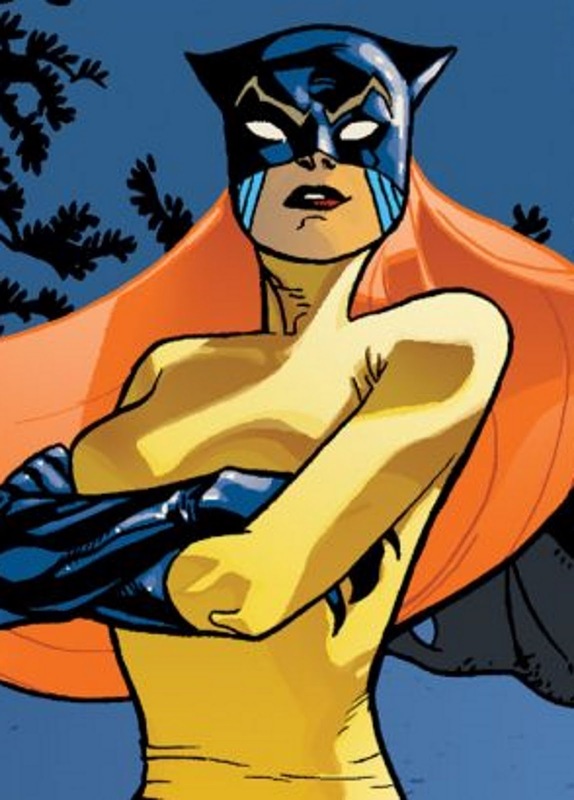 Patsy Walker’s appearances in the Hulk series this year have actually given full meaning to the phrase for me. It’s easy to dismiss her as a lightweight: she loves attention and has the frothy neediness of a kid who was always in the limelight. Her powers are, well, ‘second best’ at best. But when Jen Walters is at the point of collapse under the weight of her grief over Bruce, the responsibility of her powers, the sisyphean task of rebuilding a normal life after… who turns up right on cue to take the gal out to lunch and catch her up with all the gossip? Who’s always there, ready to ‘zoom in to the rescue’? Who brings the comforting distraction of a few of her own more trivial problems, when that’s just what an angered-challenged girlfriend needs to take her mind off the serious business at hand? And who’s there to tidy up the mess when our bemuscled grey hero makes a tactical exit? Who puts the indestructible Hulk back together when she cracks? Hellcat, that’s who, because THAT’s what a supporting character really does. 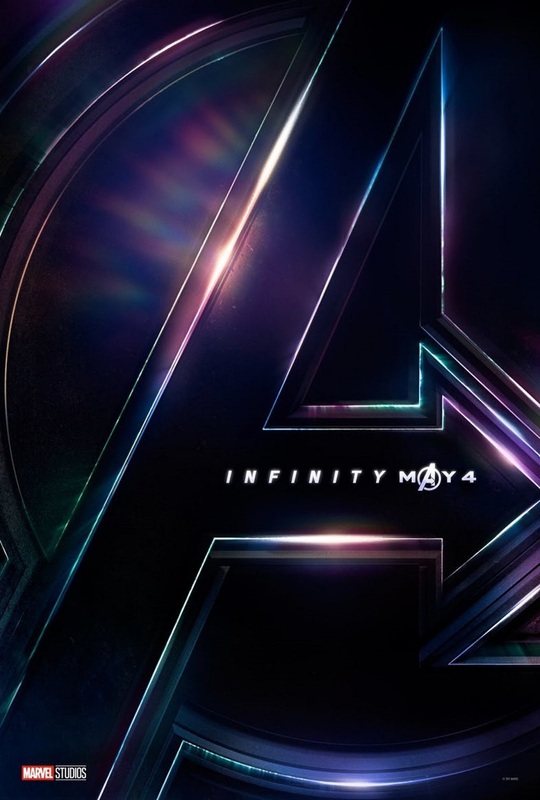 Matt C: Possibly the Mad Titan will have a far bigger impact on popular culture during 2018 when he finally upgrades from cameo appearances to the main villain in Avengers: Infinity War, likely to be the biggest movie of the year. His role on the Marvel Universe has changed a lot in the last decade. I have a 2006 copy of the Marvel Encyclopedia that my kids now pore over endlessly, and they are a bit bemused that Thanos only gets a relatively tiny quarter-page entry, not the full-page treatment awarded to other characters. But when Joss Whedon popped him in the credits for The Avengers five years ago (! ), his dark star began to rise, and Marvel has been positioning him front and centre ever since. 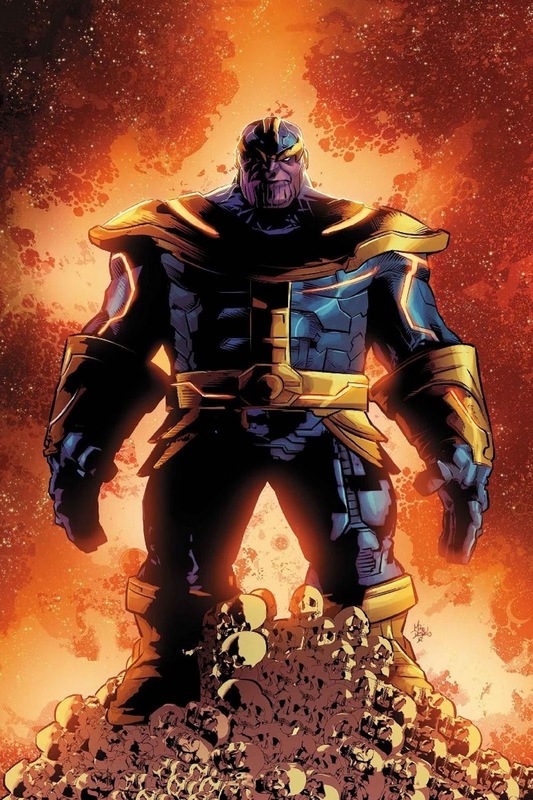 We now have a Thanos ongoing series, and for the majority of 2017 Jeff Lemire (yeah, that guy again) delivered a thoroughly entertaining tale of cosmic villainy, with Thanos thriving via refocusing and reassertion; early signs point to incoming writer Donny Cates taking us into what could be the 'Year of Thanos' (okay, I'm stretching here!) on a high note. Tom P: Say what you want about Batman Vs. Superman: Dawn Of Justice, the one thing Zack Snyder got very right was the casting of Gal Gadot in the role of Wonder Woman. She stole the show with ease and excitement immediately began to build for her first big screen solo outing. And what an outing it was! The film came out to rave reviews and proved to be wildly successful both with audiences and at the box office. 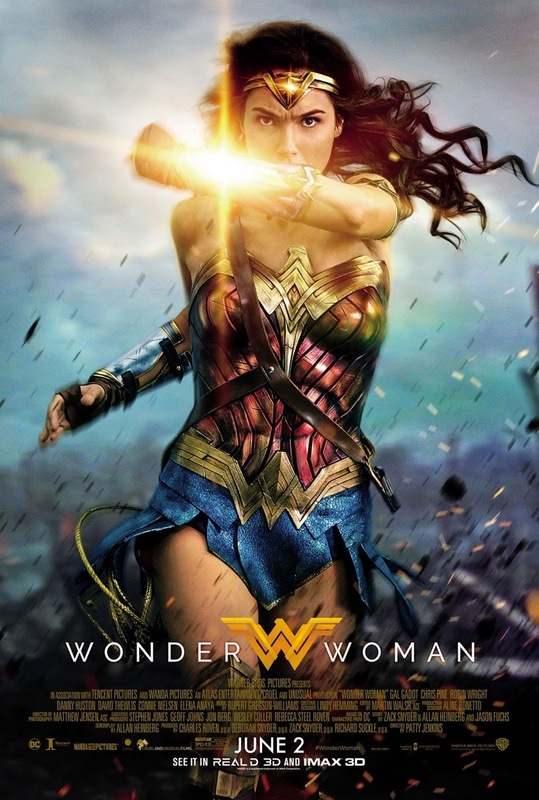 Director Patty Jenkins did an incredible job bringing the charismatic Gadot into her first lead role and reinvigorating the DCEU with a shockwave of fun. Gadot is gloriously radiant in the role and, like Christopher Reeve as Superman, she’s the perfect fit for the Amazonian princess. We’ve had a lot of great entries in the live action superhero genre this year, proving it can still surprise, take chances and deliver. Wonder Woman is everything we could hope for from Diana Prince's first headline foray on the big screen and our pick for best of the year. Matt C: And on it goes. Social media has transformed the world, connecting us in ways we've never imagined, instigating genuine societal change on a number of levels, as ideas and movements disseminate at previously unimaginable speeds across the globe. 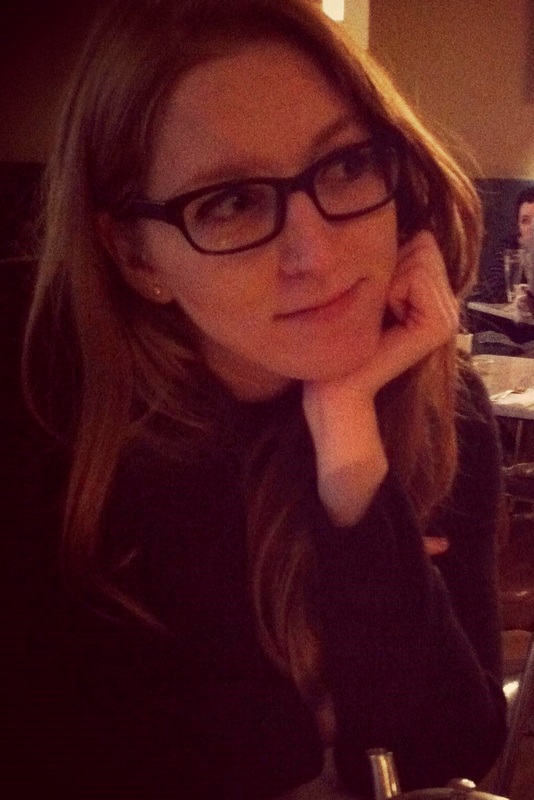 Oh, but there also seems to be legions of individuals out there who appear to believe that if you didn't much care for, say, Batman Vs Superman: Dawn Of Justice, then you either don't possess the intelligence to fully comprehend its complex intricacies, or you're a Marvel zombie that laps up lightweight superhero fare and can't appreciate dark, more 'adult' approaches to the material. Either way, they believe you need to be told, repeatedly. 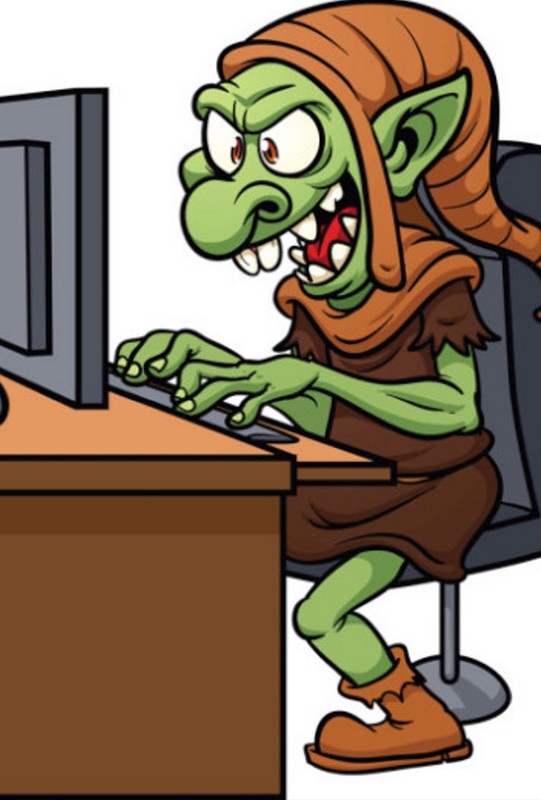 And then there are those who use platforms like Twitter to advise various writers/critics who may have a different perspective on a character that they face certain death if they continue to pursue their interpretations. Okay, so generally it's a lot of hot air delivered within in the safety of anonymity but, really, is this the best we can do? A lot of us were on the fringes of popular culture for such a long time for liking this stuff that it's kind of perplexing that, once we became aligned to the zeitgeist, many of us seem to use the opportunity to vent negativity and, in the worst cases, exhibit extreme levels of nastiness. We need to be better. And I'm aware of the irony of saying this under the banner of 'Disappointment of the Year', but we need to stop focusing on the negative (screw your '10 Things Wrong With The Last Jedi' thinkpieces!) and look for the positives. The position we have now had to be earned. Let's not squander it all by turning against each other; there a far FAR more deserving targets out there! Kenny J: Ten years in the making and 1 day 12 hours and 2 minutes of viewing time - and that’s not including the upcoming Black Panther - the Marvel Cinematic Universe has changed the face of blockbuster cinema. In 2018 we will finally see this all pay off in Avengers: Infinity War and with such a large toy chest of established characters with interpersonal relationships there will be something for everyone. For those who have seen the first trailer: who wasn’t enthused by Bucky fighting alongside T’Challa? Natasha and Bruce’s reunion, and Thor’s first encounter with the entire Guardians of the Galaxy are all reasons enough to have me anticipating this film but the tone seems spot on for a project of this magnitude and scope. What Marvel have created in the MCU is truly amazing, with previously little known characters now needing no introductions. I can’t wait to see who or what Infinity War brings us. James R: Of all the Paradoscar write-ups I've done through the years, this one gives me the greatest pleasure. 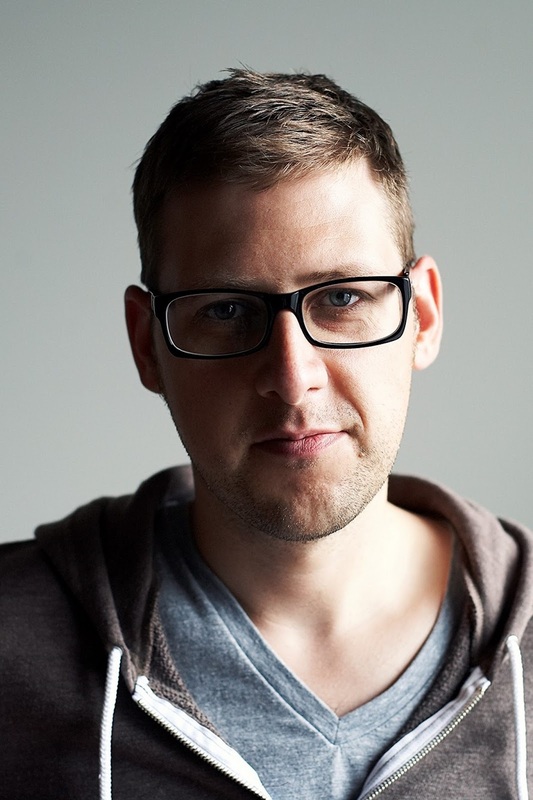 Regular readers will know I've been a huge fan of Jeff Lemire since the day I first read Sweet Tooth #1. From the moment I started following the adventures of Gus and Jeppard, I knew that the talent behind that book was a remarkable one. Over the last few years it's been brilliant to watch him go from strength to strength. Firstly, he gave us some of DC's New 52's brightest moments, before being snapped up by Marvel, producing a string of brilliant books for the House of Ideas. While effortlessly delivering great tales in Animal Man, Old Man Logan, Hawkeye, Moon Knight et al, he's continued to create some superb original work, such as The Underwater Welder, Trillium, Roughneck - all these titles display his versatility, and his mastery of characterisation; nobody makes you care for characters like Lemire does. 2017 saw him reach even greater heights: as an artist, he gave us the phenomenal A.D.: After Death with Scott Snyder, whilst as a writer, his run on Moon Knight was a clever, mindwarping adventure. His work with Dustin Nguyen on Descender continues to be the best SF-fantasy monthly book currently published (sorry, Saga) and his creation of the Black Hammer universe is only bettered by his majestic work on Royal City. Now that's some CV, sir! 2018 looks to be yet another vintage year, with his return to DC and his next creator-owned work, Gideon Falls. I can think of no creator that's given me anywhere near the joy Jeff Lemire has in 2017. Thank you, sir. All hail the Canuck King of Comics!